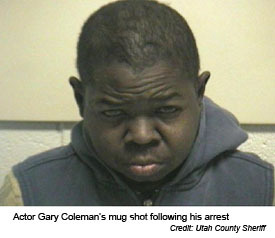 Former child actor Gary Coleman was arrested in Utah on warrant for a failure to appear, but not on domestic violence charges after Santaquin police responded to a dispute at the home of Coleman and his wife. He may be all grown up now, but this is not the first time that Coleman or his much younger wife have faced legal trouble. In a domestic dispute last July, Coleman’s wife Shannon Price was charged with disordely conduct and suspicion of domestic violence after the couple became embroiled in a heated dispute. Coleman and Price secretly wed in 2007. This article was found at Findlaw.com blogs and was written by Joel Zand. I am posting this article to bring attention once again to the growing allegations of domestic violence. While Mr. Coleman was not arrested for the alleged domestic violence as stated in this article, the police were called to his home for a domestic dispute. You can find more on this article, as well as other at Findlaw.com.